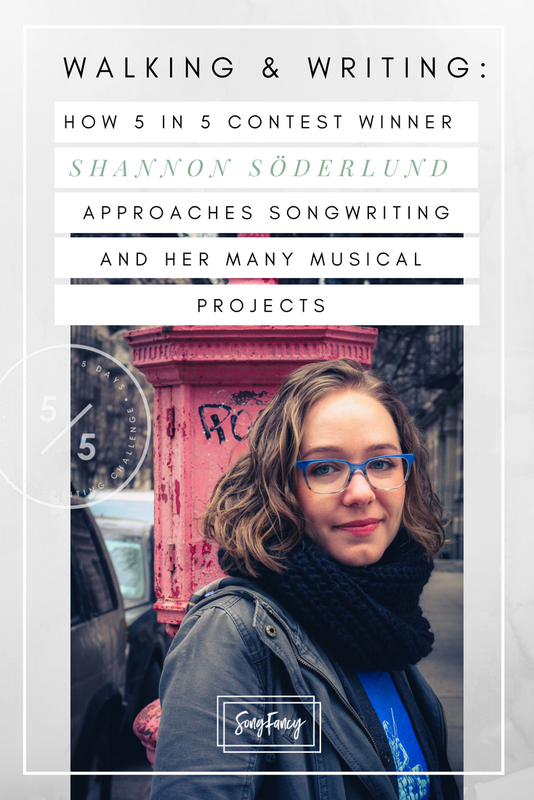 From bands, duos, to solo acts, see the creative process of our latest 5 in 5 Song Contest winner, Shannon Söderlund. I started writing around the time I was 6 or 7. My first song was about how Christmas was special. It also included my first “steal” with a little shoo-wop line I stole from an Elvis Presley song that appears on Miracle on 34th Street! Did you start with music or lyrics? Or did you start writing stories, poems, or something else entirely? It’s almost always been melody and lyrics at the same time for me. That’s how I wrote almost exclusively until I started cowriting and doing the songwriting challenges. I write a lot of free form poetry, but very rarely convert those into songs. Those almost function more like exercises in rhyming for me. The two are very different in my mind – the cadence of the spoken work is completely separate from the cadence (or not) of sung lyrics. What brought you to playing bass? A few years ago I started thinking on and off about playing the bass, but dismissed it with this silly “well I’m just a singer” mindset (especially silly, since it took me about 20 years to admit I was a singer – I’d been doing it literally all my life). 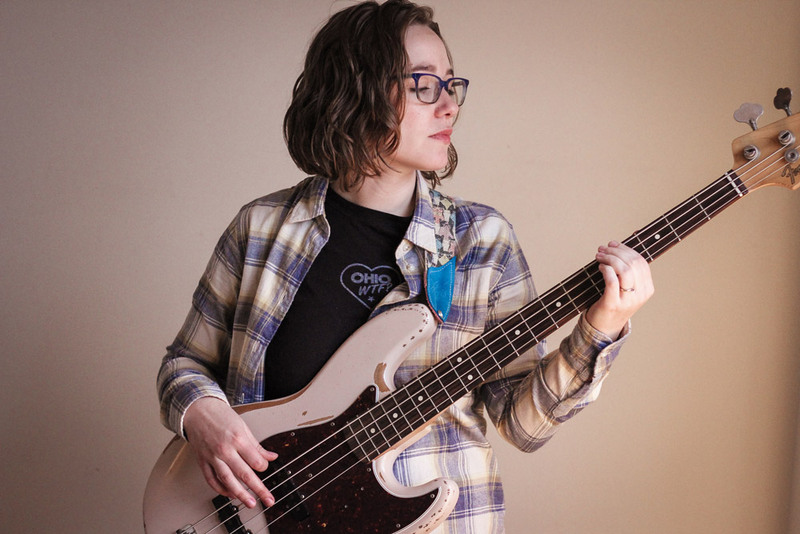 I finally had the personal revelation that I am in fact a musician, and could “probably totally handle” playing one note at a time – a very simplified version of playing the bass, but it’s ultimately accurate. Yes! I took weekly clarinet lessons from age 8 through college (the poor thing has been sitting untouched for the last 8 years), which my parents could only afford because they wrote them off as a business expense (we were a missionary family band). I took a smattering of voice lessons during and after college until I got to New York, where I took more regular (monthly) lessons. I’ve been taking bass lessons since January. Once you find a good instructor, the value of lessons really can’t be overstated. Tell us about “New England,” your winning song! Where did the inspiration come from? How did you approach writing to the prompt? New England! So, the prompt was “a heavy rain on a beautiful day,” and it immediately made me think of the wedding day of one of my best friends. It’s one of the few weddings I’ve been to where it rained most of the day – not a deluge, but it was misty and damp for sure (I took a little liberty with that part of the prompt). I drove with my friend from getting her nails done to the church, and she was pretty disappointed in the weather – but I thought it was exceptionally romantic, and told her so. It lent an ethereal, floaty sort of quality to the day that I just loved – and stuck in my head for that reason. I used a technique a brilliant songwriter, Becca Stevens, suggests doing if you’re stuck: not really playing chords, but just finding note combinations you like – and then finger picking them. Tell us about Punch the Sun! How did you form? 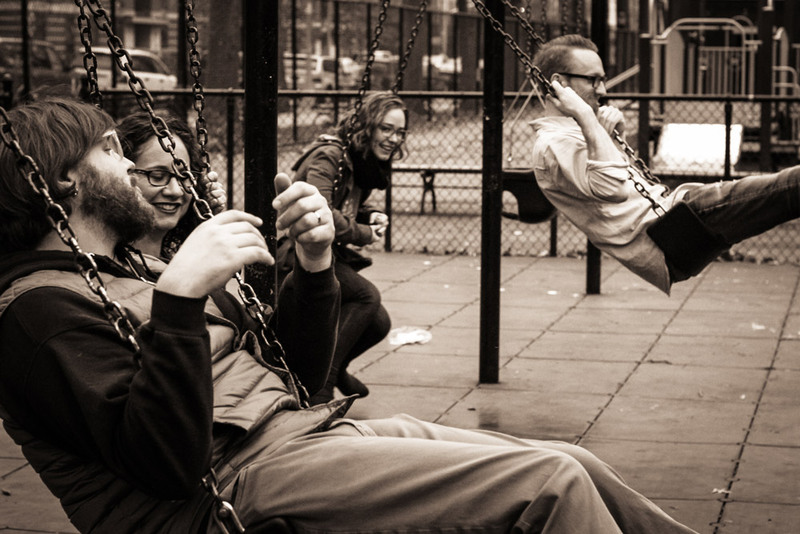 Well, we all started playing music together about 4 years ago – though that’s not entirely true. My husband, Dru, is a guitar player, and we actually played in a college band together back in 2005/2006 that he formed with my brother and another friend (we were called Lawn Chair Philosophers). I met my drummer, Campbell, at the University of Montana through the jazz program, where we played in a combo together. Once we all moved to NYC (Dru and I moved in late 2012, and Campbell moved in late 2013) I dove into the jazz scene, but then slowly started playing my original music and convinced these guys to play with me. We added on a bass player (Adi) and our friend Pamela, who Campbell met at work (she actually hired him), to sing harmonies. For a long time played under my name – kind of a vestige of the jazz days, I think. Around the time I picked up the bass, we started rehearsing more and it just felt appropriate to find a band name. So here we are! What kind of music does PTS play? It’s pretty alt rock these days, I’d say. 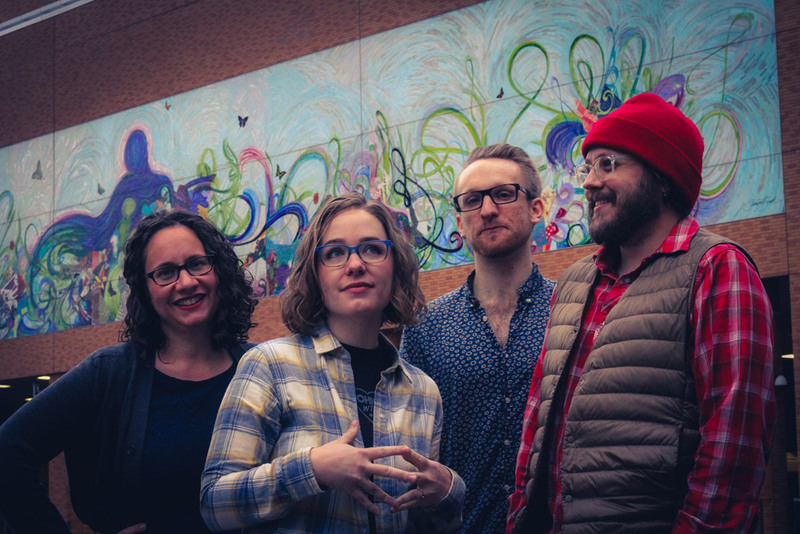 It has some pop flavor, and indie rock, but it’s definitely influenced by the large amount of Weezer, Cake, and Fiona Apple I listened to while I was in High School. People say we have a 90s sound, and I really can’t disagree! You’ve released music as a solo artist, with Single Girl Married Girl, and now with Punch the Sun. 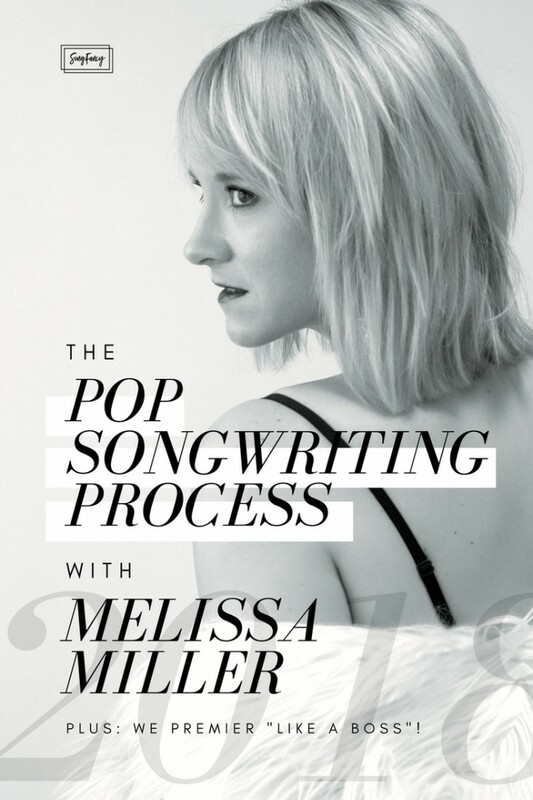 How has your songwriting changed from project to project? The solo stuff has mostly evolved as I figured out what it was like to play with “my band.” The more writing I did, the more I was able to find the right “fit” for our sound – so the solo stuff basically led directly into the PTS sound. I write everything for the band, but as we’ve continued to play together the arranging has become much more collaborative (though I still have final say – it’s mostly a dictatorship). The longer we play together, the easier it is for us to find sounds that work for what I bring – though it helps if I have a demo with at least one instrument, to illustrate what I’m thinking. 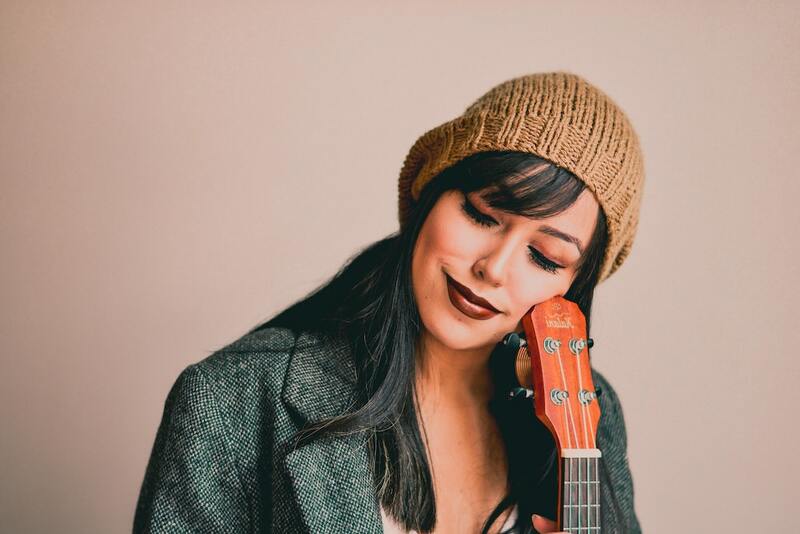 With Single Girl, Married Girl – that writing is incredibly collaborative, and usually driven by Chelsey Coy, the lead singer. She has an incredible sense for melodies that I just love, so we’d often approach things that way – starting with chords and melody, and then fitting in the lyrics underneath. It lets me play a little more with my word-nerd side, which I enjoy. In previous years, my writing was very driven towards more melancholic topics, like the ennui of the day job life or the difficult bits of human interaction. Though that still informs my writing, a lot of what I’ve been dealing with recently has more to do with social justice, women’s power, gun violence, and the like. I use sarcasm a lot – the song I just released, “Mistakes,” has a very sarcastic tone that (almost unintentionally) addresses a mansplainy sort of exchange. I wrote a song called “Hey Steve” that’s basically a pop-punk song about this guy who wouldn’t leave me alone whenever I passed him on my walk to work. I wrote a song called “Do What I Want” that’s a critique about how we’re raised as girls and women to be “pretty little things,” and how I want to throw it off. So I’ve become somewhat of a feminist SJW, I guess! Ha. Check out the premier of the music video for “Mistakes” July 15th on Music Injection! It usually starts with a walk – my walk to work, typically, though I also love getting the chance to ramble through the park. Thankfully my walk to work happens every day, so it’s built into my schedule! I’ll usually just start humming something, and then it’s a game to make words and melody go together. Whatever I start with usually ends up being the chorus, as it tends to be more hook-y. I’ll start with just a seed of a sentence and then build it out, usually finding out what the song is about as I go along. I also MUCH prefer to finish a song all in one go – it’s almost always more cohesive and more creative that way. It’s hard for me to get “back” into a headspace from a previous session, so even if the second verse and bridge are weird, it’s easier to edit if I already have something down. As I mentioned, I usually start with melody and lyrics – which is useful, because then when I bring them to an instrument I usually have a pretty good idea of what I want the chordal structure/sound to be. Walking is best for creation/creativity – I use my phone (mainly the Hum app) to capture recordings and write down lyrics. Though I also like doodle-writing at my desk, and have written several songs that way as well. Alone in my living room is best for editing, preferably with a piano or guitar. Walking is best for creation/creativity – I use my phone (mainly the Hum app) to capture recordings and write down lyrics. Cowriting really opened up my perspective of what songwriting could be, and how I could approach it. 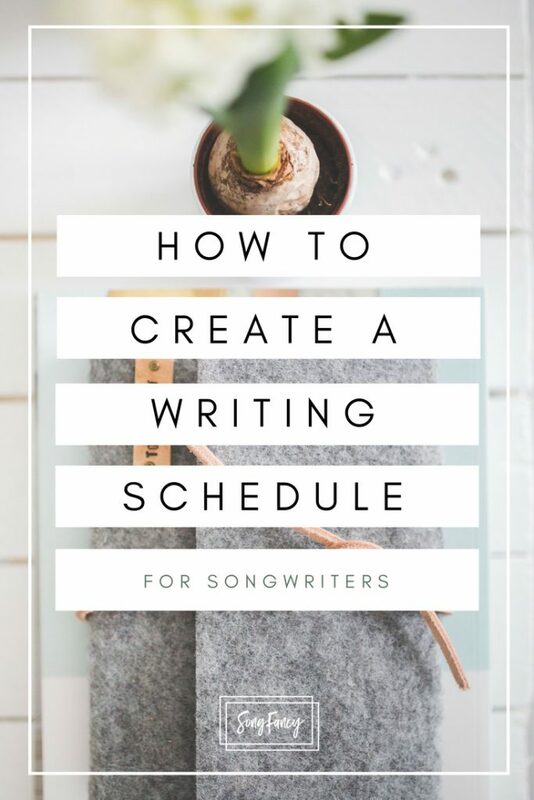 When I started cowriting, I started to realize that I could still make good songs even if I just sat down in front of a blank piece of paper and started trying things out, rather than waiting for inspiration to find me. So I’ve definitely written more, and in more ways, since I started cowriting. I’m really hoping we’ll be on the road, touring a few months out of the year. 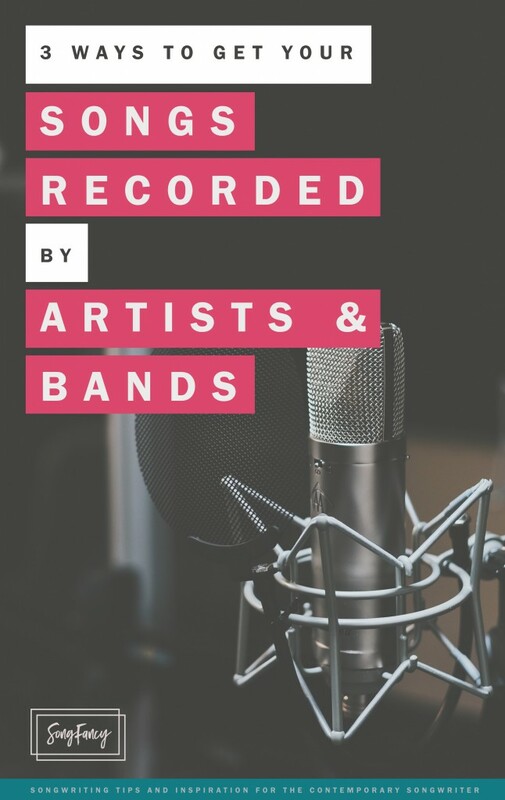 We’re just starting to tour now – in fact, we’re planning our first tour down to the DIY Musician Conference in Nashville at the end of August! My goals are to start playing outside of New York more often as we gear up to release out full-length album, and to organize both west coast and east coast tours for 2019. Hopefully by 2023 we’ll be touring in a more national way!